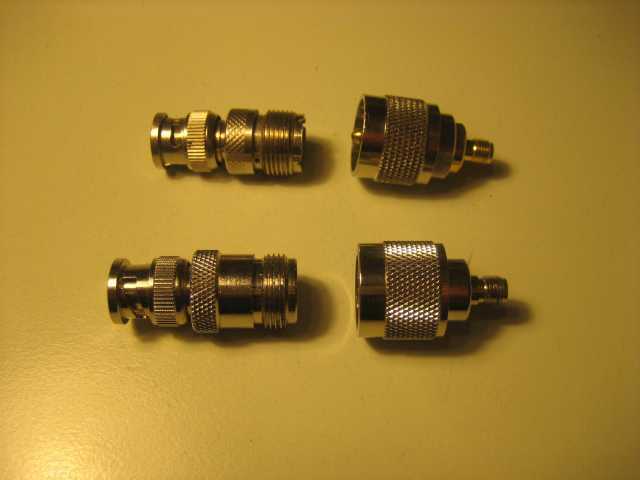 Ham radio makers often offer two distinct connectors for the 2m/70cm port: N for the European market, SO-239 for USA/Japan and the rest of the markets. Here in Europe I often read on ham radio forums that type-N connectors are mandatory in 70cm operations due impedance mismatch caused by PL-259, that provokes a relevant attenuation in the lower UHF band. 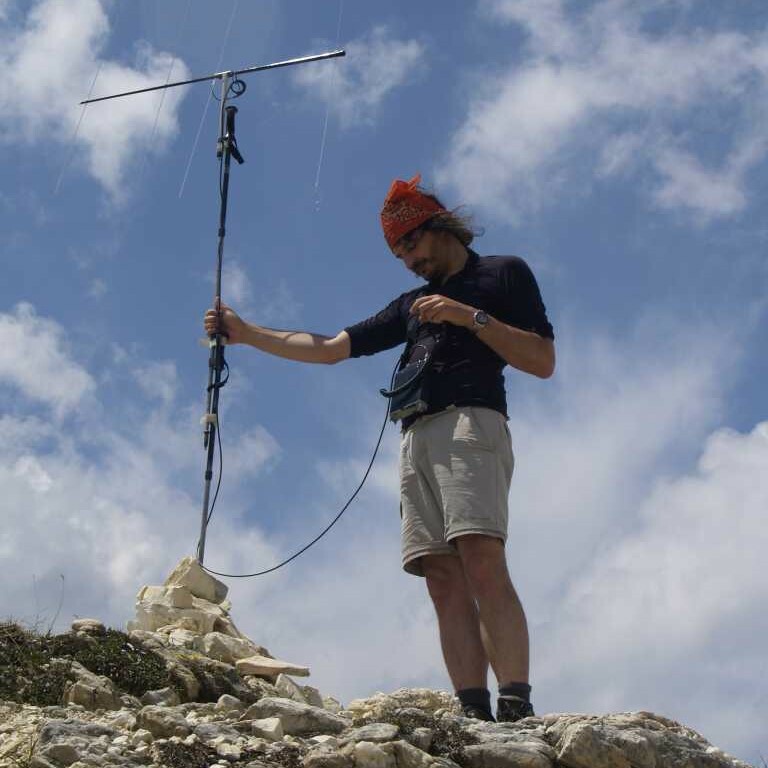 The difference is often described as “huge” and very important for the successful setup of a 70cm station. However, unlike other gear like cables and so, that report attenuation per meter at a given frequency, I have never been able to see a figure that actually describes the amount of this “huge” loss. In other words, what are we Europeans really gaining with the more expensive and complex N connectors? To answer myself this question, I make a TL (Transmission Loss) measurement on a cable with two N connectors and with a SO-239/PL-259 pair. The readout is -0.22dBm, i.e. 0.22 dB lost in the RG-58 cable, connectors, etc. What? -0.22 again? Exactly the same amount as before. 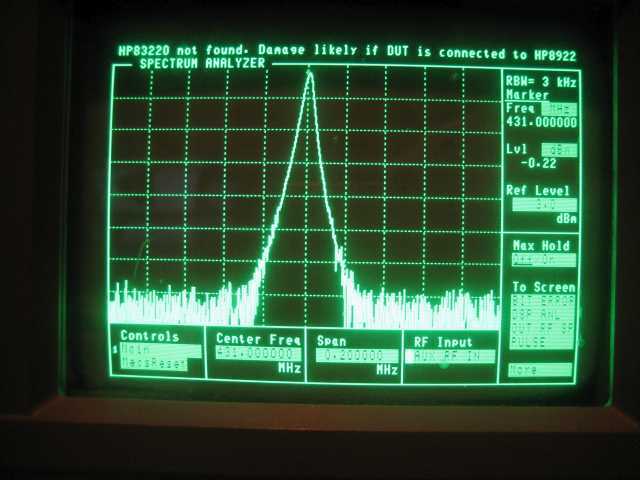 The HP spectrum analyzer didn’t notice the swap! With this setup I can appreciate differences of 0.1dB among two signals. So I tried with a Vector Network Analyzer, that reports hundreds of dBs. The difference is 0.01dB (in favor of the PL-259/SO-239 pair), which is completely meaningless because is within the measurement noise. In other words, neither the VNA has been able to tell the difference. In summary, two different measurement methods have not been able to tell the difference among a N/N pair and a SO239/PL259 pair at 431 MHz: despite of the claims, I can hardly believe that any human operator would be able to do any better. Well experimented. We need to continue such technical works to keep this unique hobby alive and interesting. And what about the variation due to manual assembly of the connector to the cable? When the measurement would be repeated with more samples of each type that are assembled manually, a lot more deviation between N and PL is expected. I replaced almost all my PL-259/SO-239 by N-type, because of the MECHANICAL pro’s of N-type. IMHO PL-259/SO-239 is nice enough for CB operations. Serious HAM’s prefer N-type for ALL frequencies! There is a lot of (Chinese) crap on the market with PL-259/SO-239! Please be aware of this. Don’t use them with QRO (on HF too)! For many years I use N-type (male and female) connectors from Rosenberger or Suhner. I pay about 2 Euro’s for them. I would never take any risks using other type connectors than N, or other brands than the above mentioned. Interesting; I have been using cheap Chinese PL259 and N type connectors for years (Direct From China), 25 cents per pair of N type connectors, and the VNA does not lie, no issues that would concern me! Thank you dear friends for your comments. However I would like to underline that this article is not about the general differences among the N and PL. Instead, it tries to put some figures on the performance price, real or perceived, that people owning UHF radio factory fit with a SO-239 pay versus the same model but with the N connector. 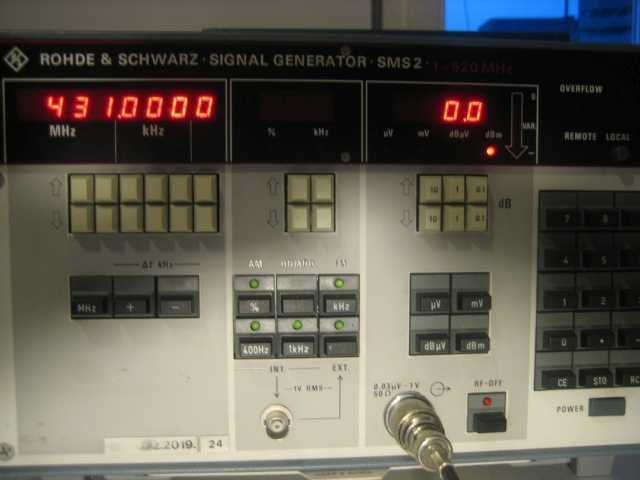 Let’s remind that the UHF radios factory fit with SO-239 are mainly FM vehicular (for example, my Icom IC-2725 has a SO-239); the only all-mode exception, as far as I know, is the 857/897 Yaesu series. So we are talking mostly about rag-chewing on the local repeater. Personal tastes aside, how can we quantify the difference among the EU N-version and the USA/J PL one? Issues like water proofing and power handling are very good points, but out of topic: these radio aren’t meant to work outdoors and their power never exceeds 50W. 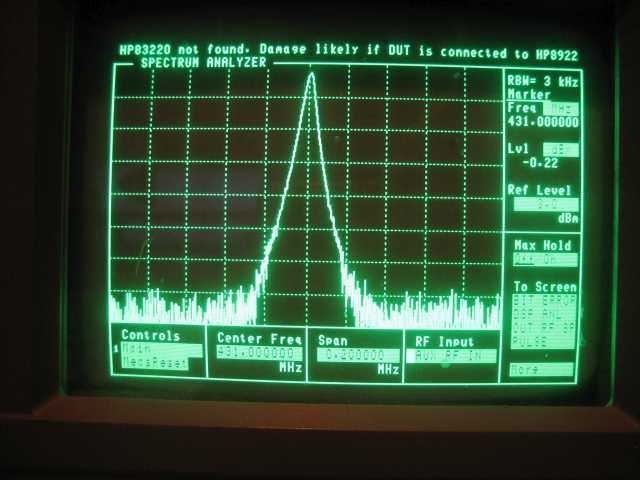 Also they are not a 22 GHz vector analyzer. I avoided plotting the RL/VSWR because it did not quantify the performances gap. I expect that if the manufacturer fit a SO-239, the resulting VSWR will be well in range of its gear capabilities. So ok, I have an higher VSWR, but how much will this actually compromise the performances? Whatever the mismatch is, no loss has been detected by both tests. Some other friend suggested more sophisticated tests, able to detect even lower power differences. Ok, but this once more proves indirectly the point above: if the difference is so little to require a special setup, how could a human notice it during every day operations? 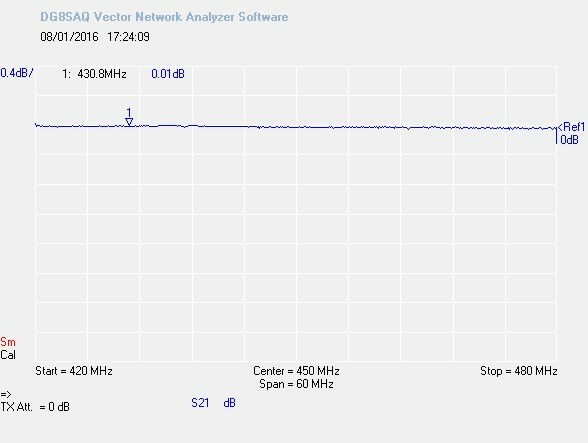 My aim was to understand quantitatively how worse a PL fit radio performs vs. the same model with a N connector. If you have any suggestions about this topic, they are welcome. Always hated the N-connectors, but used about 400 PL and So239 or more un till today. This is for me the sign to get rid of the last N-connector HIHI. But yes realy a big thank you for letting us know this great result. My UK FT897 has a N to PL converter… never liked the N type! 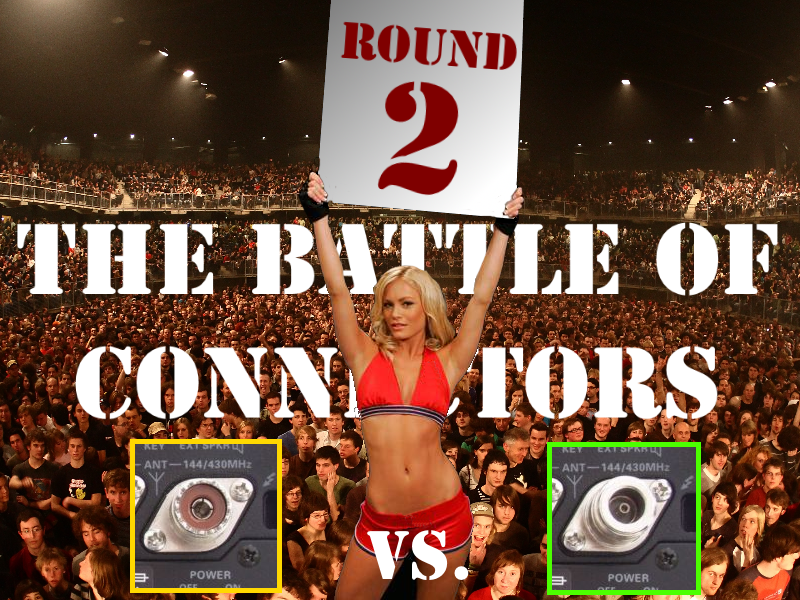 If you want figures on loss in connectors, read this article: http://www.hamradio.me/connectors/uhf-connector-test-results.html. This is NOT a real world test. Try putting just a little power through it and you’ll see why N connectors are superior at UHF frequencies. I can’t tell you how many UHF rigs and amps got returned to the Cleveland Ohio Amateur retailer I worked at, simply because some fool used an N-to-SO239 adapter, resulting in roughly a 25% power drop. This was due to power reflected by the poor connections (within the PL259/SO239 arrangement) triggering the protection circuits into cutting back power. This article does not take everything into account. A little tidbit, many US version UHF rigs have SO239s because those manufacturers realize that most US hams are too lazy and/or cheap to use proper termination. The rig’s protection circuit is actually aligned to be less sensitive so the cut back doesn’t happen, which puts the rig at risk in the case of high reflections. Regardless, it saves the manufacturers from the onslaught of adapter-users who leave negative reviews and return their rigs. THIS WAS STRAIGHT FROM AN ENGINEER WITH THE MANUFACTURER OF THE PICTURED RADIO. Great info Ed! TNX for sharing it. If the N connector are professionnal and not a big sh*t as I can see on your picture, you could see differences. On flea amateur market there’s lot of quality N connector like RADIALL, SUHNER, SPINNER. Why do you prefer commercial low cost connector for same price and to make false measurement ? Rather than arrogance, you are lacking to substantiate your claim and – moreover – logic! Should IZ2UUF have found any higher end connector, with even less attenuation? Whatever, he made a comparative measurement, changing ONLY one factor, thus eliminating any bias! The questioning of our other French following OM looks to me more pertinent. BTW, this case shows another point in industry. That is what sometimes or even often (over) industrial standardizations may lead to, especially when it comes to costs, profits and non- ( yes: non-) competition among them. Comments are sometimes rough, but they might be stimulating. I did more tests, this time comparing my cheap, junky N->PL and PL->N “sh*t” converters (thanks f1nfy for grading them!) with… nothing. Direct N-N connection vs. adding in between two cheap N->PL and PL->N converters (see this link). Measured return loss, time domain reflectometry and transmission loss. Then, verified what changes once connected to a radio. And what is the return loss à 432 Mhz for a couple of pl ? How do PL and N behave with high power ? -The test protocol is bad : you must use plugs solded on cables ; a transceiver is generally plugged with a cable without adaptator. -Measurements must be done with a network analyser and a S parameter set .Then, you will see differences with return loss , impedance and phase . Ask you just the right question : why HP use very expensive APC7 plugs on its quality network analysers ? Pl259 have structural problems :with time, the central plug distends and i have seen many transceivers amplifiers damaged with that. Thanks Phil for your comment. The question I was trying to address was: “can anyone actually tell the difference among one UHF rig equipped with SO-239 and the same model but with N?”. I measured the S parameters, including Time Domain Reflectometry in part #2 of this post, but the numbers I have obtained did not answer the question. So, in the same test I set up more and more accurate tests involving one actual rig trying to find a difference among the two connectors, but without success. I agree that measurement must be done with a network analyzer, but once done one must be able to translate the figures into real effects in the application is being evaluated – otherwise they are just useless numbers. I’d still rather have the N connector… I also don’t think “fool” is the correct term, stubborn to change seems more appropriate.